This is the second issue of a quarterly newsletter designed to keep you up-to-date on the work of the Mastery Foundation. We try not to send unwanted email. If you would like to be taken off the email list for this newsletter, just click on the Unsubscribe button at the bottom of the page. If you would like to update your record with us, you can either click on the Update Profile button below, or send an email to information@masteryfoundation.org. Every email we receive is personally read. In April we held a Making a Difference course in Cookstown, Northern Ireland among the rolling green hills of Country Tyrone adrift in daffodils. The 23 participants in the course were men and women with a range of ministries including parish priests, parishioners with lay ministries, clergy with ministries of peace and reconciliation in divided communities, the principal of a religious school, and lay ministers serving the sick and grieving. To register for an upcoming course, click here. It is a story of two rivers: the Mississippi River and the River Foyle. It is a story of two cities: Greenville and Derry-Londonderry. Different continents, different environments, different situations. And yet there are striking similarities. Each is defined by divisions; with people divided by identity and by history. Each is a story of good people in local communities who now struggle to share a land that two peoples have lived on divisively for generations. 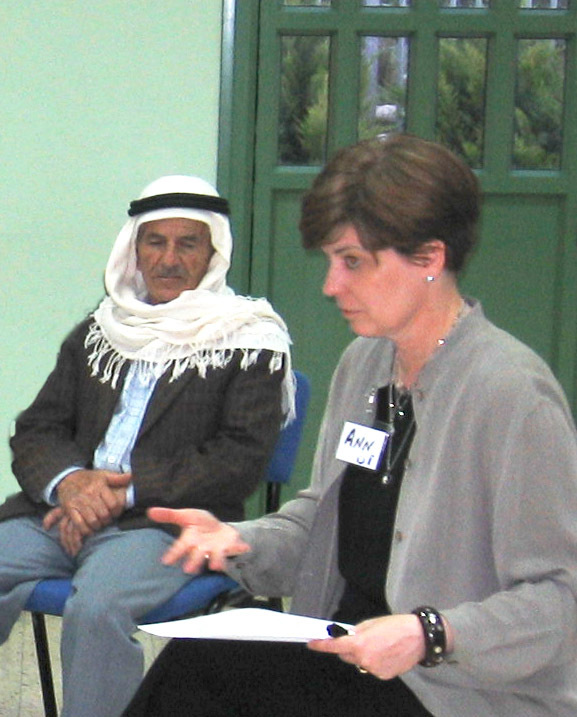 In June of 2005, the Mastery Foundation hosted Community Empowerment Programs in both Greenville, Mississippi, and Derry-Londonderry, Northern Ireland. Click here to read the full report on these two programs. Our April trip to Israel was typical of how much we can accomplish in one visit. We delivered two programs, did the groundwork for new programs to be delivered in July, and began conversations for at least one new program in the next few months. In the Arab municipality of Tamra, we held a program on leadership to empower the participants in their commitment to improve and strengthen their communities in the face of wide-spread resignation and breakdowns. In Haifa, we held a staff development workshop for the Jewish studies institute at the Leo Baeck Education Center that transformed their experience of working together and gave them the tools to navigate a difficult transition. In July, we will return to Israel at the invitation of the Rabin Center to offer leadership programs to the youth, educators, and parents of the largest Bedouin community in Israel. Recently we have had reason to celebrate the lives and contributions of two extraordinary priests and founders of the Mastery Foundation. In May, Fr. Gerry O�Rourke reached his 80th birthday, still going strong. To read more about Gerry's life and ministry, click the link under his picture. And sadly for us, Fr. Basil Pennington died on June 3rd of injuries suffered in a car accident. He would have been 74 years old in July. To read more about Basil's life and ministry, click the link under his picture.